Despite all the controversial connotations of Women’s Day, I think it’s a great thing if we can take one day out to consider women’s issues. This could be a day when we really work towards the betterment of women of all sections. And rural women also get focus and attention. Women’s day is also a great chance to set time out for training ourselves to improve our skills. It could be a new skill or a refresher for renewed motivation in what we do. 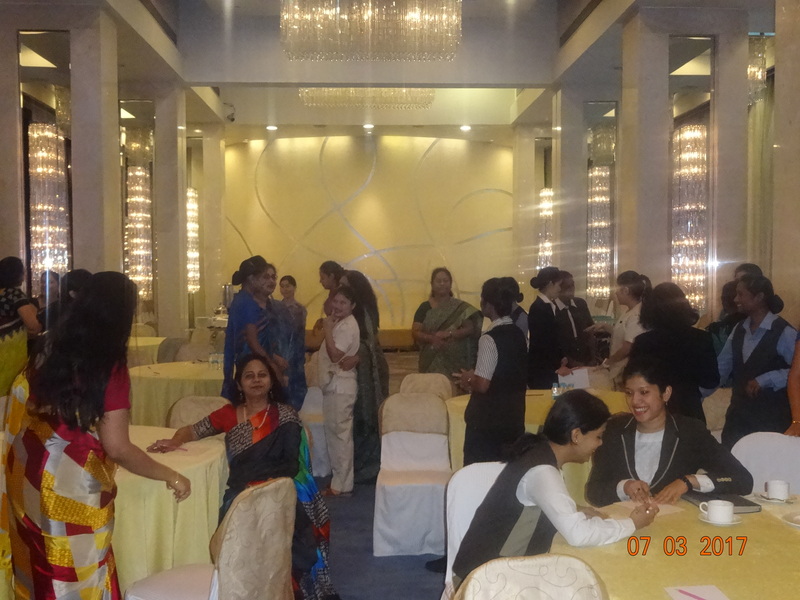 I trained the women staff of Taj by Vivanta in Pune for Women’s Day and it turned out to be quite a memorable program for me. This was my first training for hospitality. I have trained for banking, insurance, retail industries to name a few. This was a 4 hour workshop to not just brush up the basics but also to take time out and envision some goals for the future. Although I was at the beginning of a bout of viral fever and breathing issues – which I did not know then – I was all set for the program after whatever sleep I could get the previous night. The lovely ladies in their sarees began to arrive at around 9.15 AM. 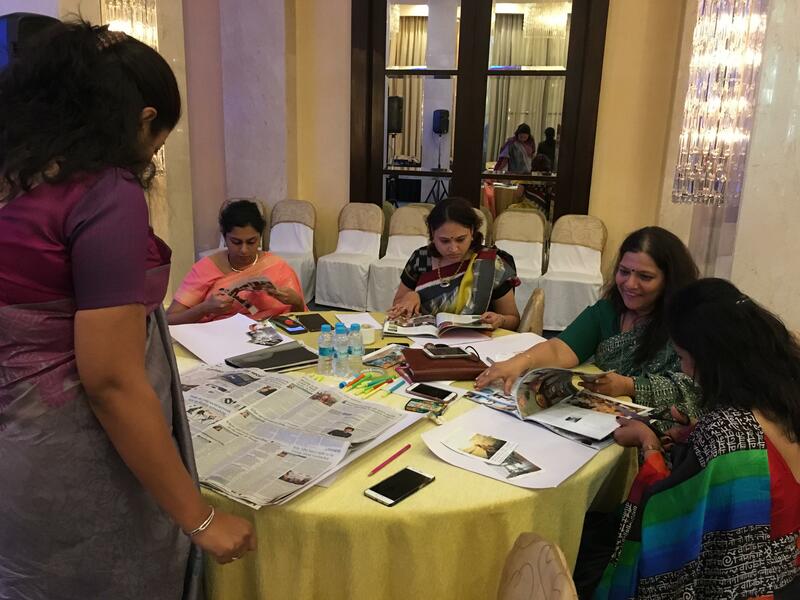 What was unique about this program – apart from the fact that this was an all women batch – was that it had participants from all departments with varied experience. From the security staff to department heads – everyone had to go through the same content. This was a bit challenging at the level of creating content but specific inputs from the learning and development manager at Taj made it easier to create modules and activities that would be relevant to all. The refresher training was all about dressing and grooming. The hospitality staff is already great at it. But getting every level of employee upto the Taj standards was the aim here. Apart from the fundamentals, we also got together to discuss the do’s and don’ts for professional presentation of the employees. The hotel industry is a unique one where most customer facing employees need to be well represented. Right from the security to the bell staff, each one is important for the image of the brand. And it was a great idea for everyone to contribute from their perspective. We, then, went on to talk about confident body language and the right posture. We practiced Power Pose, the short cut to feeling confident through expansive body language. The program was also designed for the participants to be able to take time out and envision their future. And what better than vision boards to express their ideas and bring their goals alive! It was great to watch them look for images and words that best describe how they want their life to be in the near future. Everyone shared their ideas once they were done. And there were myriad of dreams in their future – a beautiful house, a great life partner, career advancement and travel to see the world were among the most common ones. The participants proudly displaying their vision boards! And for the final photo, every one proudly showed off their vision boards which they carried with them to keep the inspiration going. Do you wish to conduct such pit stop workshops for your staff. They can be on any skill they want to work on. Do feel free to get in touch with me and I can plan something for you too. Hearty congratulations, Suman!! Way to go!! Keep up the great work! !